The first winter of Ikon vs. Epic vs. Mountain Collective is in the books, and it will be interesting to see how the industry adjusts in 2019-2020. For this winter, Vail Resorts sold more than 900,000 Epic Passes and Alterra Mountain Co. sold about 250,000 of its Ikon Passes. Big numbers, with another big contingent lining up for the unique opportunities given through the Mountain Collective. Skiing has never been a cheap way to spend a day. For the intrepid, however, there exist a multitude of ways to hack this sport where the daily cost to participate—the lift ticket—can hit $200. The best way for skiers to ensure they don't end up paying $1,000 for six days of lift tickets is to pick out a season pass and buy it early in the off-season. A number of season pass pricing wars have taken place during the last several decades, but the current pass situation is especially advantageous to consumers who plan to take multiple ski trips, in some form or another, during the course of a winter. For this, there have emerged two premier passes in North America: the Epic Pass and the Mountain Collective Pass. Note: we examine all bundled season passes and their included resorts, including Rocky Mountain Super Pass and the MAX Pass, on our season passes page. For some, geography will determine the right choice. Anybody living near one of the 13 resorts owned by Vail Resorts and who plans to ski regularly will likely default to the Epic Pass. It's a great option at $899 for a full season pass to all of Vail Resorts' mountains with zero blackout dates. Even better for many is the Local's version of the Epic Pass, which can be had for $669 and comes with some manageable blackouts and restrictions at Vail, Beaver Creek and Park City. The more interesting question, the one what we will probe here, is which pass is better for destination skiers? These are skiers coming from metros like New York, Chicago or San Francisco who plan to take two to four ski trips for the winter, perhaps spread out across different states and areas. To make this comparison, we have to compare two different sets of data: the benefits and virtues of the included resorts, and the virtues of the pricing and structure of each pass. ZRankings has special package rates to Epic and Mountain Collective Ski Resorts! To quickly explain the Mountain Collective: This pass, for $449, gives a skier access to 15 mountains across North America. The pass entitles its holders to two free lift tickets at each of the participating resorts, plus 50% off of all single-day passes after that. With a price so low on the pass, and most lift tickets costing well more than $100, skiers will more than break even on the pass after four days. For instance, skiing Jackson Hole for five days, paying $136 for each day, will run a skier $680 ($136 + $136 + $136 + $136 + $136). The Mountain Collective Pass would cut that cost to $653 ($449 + free day + free day + $68 + $68 + 68), but it brings added savings every day after that, piling another by $65 for each day skied. It's even more advantageous, of course, for a skier to put together two (or more) trips to different ski areas. Skiing three days each at Jackson Hole and Aspen, renders a straight cost of $837, if buying lift tickets individually at each resort. With the Mountain Collective pass, that cost becomes $584. Throw in two days at Alta on a quick weekend trip and the cost doesn't increase at all. With the different ways in which they're constructed from a cost standpoint, there's different plusses to both the Epic Pass and the Mountain Collective. But we'll first address the collection of resorts that each pass includes. And again, if a skier simply loves Alta, or perhaps Vail, and plans to visit their favorite resort at least once in a season, then the pass decision is academic. The Alta skier will buy the Mountain Collective and the Vail skier will buy the Epic Pass. First, the sheer scale of the Mountain Collective Pass, with 16 major resorts in North America vs. 10 for the Epic Pass (not counting Vail's urban ski hills outside of Chicago, Minneapolis and Detroit), gives the MC an edge in numbers. But very few people are going to ski more than four or five of the resorts on either pass, so that advantage is limited by the free time and travel dollars available to most destination skiers. What about the overall quality of the resorts included with each pass? There is one measurement that captures this better than anything else, of course: a resort's Pure Awesomeness Factor. We averaged the PAF across each of the pass's resorts, but we excluded the Eastern and Midwestern resorts, as their numbers and acreage would skew the numbers and the spirit of this measurement. This calculation yields an impressive 83.0 for the Mountain Collective and 81.3 for the Epic Pass. All of these head-to-head comparisons, along with those for the MAX Pass, the Rocky Mountain Superpass, and the Powder Alliance, can be seen at our season passes page. A-Basin is included as part of the Epic Pass. We also thought it would be interesting to compare the top 5 resorts included in each pass, as according to their top PAF scores. The average across the top five yields a very high score for the Mountain Collective—93.8—and a very good number for the Epic Pass as well of 85.1. The Mountain Collective here is buoyed by ZRankings' high PAF scores for Jackson Hole (99.0), Snowbird (98.4) and Alta (94.0), which comprise four of the top five resorts in North America. No. 5, Vail, of course, belongs to the Epic Pass, as does No. 10 Park City, but it's that lack of scores of 95+ that hurts the Epic Pass's top-5 average. Therefore, for overall strength of resort lineup, the edge goes to the Mountain Collective. Next up is snow, perhaps the most important ingredient to a great ski trip. Again, we'll throw out the ZRankings True Snow scores for the Eastern and Midwestern resorts. Here, the Epic Pass has a slight edge, with an average snow score across its portfolio of 70.3 vs. 69.3 for the Mountain Collective. That's almost a surprising result given that the Mountain Collective has something of a stacked deck with both Alta and Snowbird, the No. 1 and No. 2 resorts for snow in North America. The difference, however, is the bottom of the lineup. The Mountain Collective includes Sun Valley, which, while it's a sentimental favorite of old-school skiers, is perhaps the worst major destination resort for snow in western North America, receiving an average of only 191 inches a year. Sun Valley's low elevation hurts too, with a summit of only 9,150 feet, and only 1.1% of winter months bring more than 90 inches of snow to the place, compared with 50% of winter months at Alta. Lake Louise, also a Mountain Collective resort, receives even less snow than Sun Valley, with an average of 168 inches. On the other side of things, the Epic Pass has no snow superpowers like Alta or Snowbird, but the portfolio has no laggards, either. Epic's worst resort for snow, Keystone, only gets 230 inches a year, which is below average for Colorado, but the resort is helped by a high elevation and lots of north-facing terrain. Kirkwood, the best place for snow in California, leads the way for Epic, with an annual True Snow average of 459 inches and a ZRankings snow score of 82.5. Vail, Beaver Creek and Breckenridge also rank highly for snow. Looking across both portfolios, the Epic pass is stronger for snow when considering every single resort, but the Mountain Collective's top-end resorts: Alta, Snowbird, Big Sky, Jackson Hole, are elite here as well. 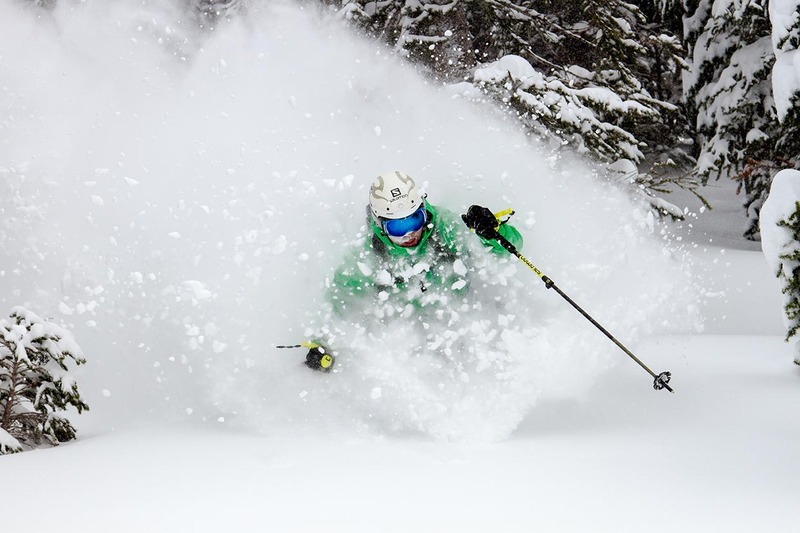 Mountain Collective skiers can go deep at Jackson Hole. The Mountain Collective has two resorts in Utah, which sports the best access for skiers flying into a major airport. But the Epic Pass has Park City, which is the easiest-to-reach resort in North America. For those skiers who are flying in, the drive to PCMR takes only 35 minutes from the Salt Lake Airport. Not only that, but Epic Pass skiers can also take two or three trips to Park City and each day skied will be free. This is a nice perk for people looking to do a number of quick trips that are 2 nights, 3 days of skiing or 3-nights, 4 days of skiing. That can't be done well flying into the Denver or Tahoe airports, which feed a majority of skiers to the other Epic Pass Mountains. The Mountain Collective also includes stalwarts Jackson Hole and Aspen, which have their own, very nice, regional airports that afford skiers great access (25 min or less to resort) and an impressive number of direct flights. The caveat: flights into Jackson Hole and Aspen are expensive, so most pass buyers looking to save money will have to consider that. Some of the other Mountain Collective resorts can be hard to reach for short trips like long weekends. Places like Taos, Sun Valley, Banff, and Mammoth (for non-Californians), demand trips of longer duration considering the time required to get there. Epic Pass skiers heading to Vail Resorts' Colorado properties will likely fly to the Denver airport, which requires skiers to make a two-hour car or shuttle trek up I-70 to reach their destinations. But these skiers do have the option of flying to Vail-Eagle, which offers shorter commute times, but, like Aspen and Jackson, can cost quite a bit more to fly into. Overall, the access factor is nearly a draw, with both passes offering premier resorts in Utah, but the edge probably belongs to the Epic Pass, with so many resorts reachable from the major hub airport in Denver, and, for the Mountain Collective, none other than Aspen, which is considerably further from Denver. It comes down to how many days would a skier prefer to spend at a single resort. As that number climbs higher, the advantage tips to the Epic Pass. But for skiers who might prefer two or three trips to disparate destinations, the advantage largely stays with the Mountain Collective, unless those trips will all be of the longer variety (5+ days). On the tables displayed on our season passes page, we've listed the days-to-payback for different resorts on each pass. Jackson Hole skiers on the Mountain Collective pass, assuming they get the pass for $449, break even at 4.6 days. Aspen skiers break even at 4.1 days, Sun Valley skiers at 4.6 days, etc. That equation changes as days are mixed at different resorts, but the general rule of thumb with the Mountain Collective pass is that break even comes on the fourth day. For the Epic Pass, the break-even point comes later, because of its higher price point, but the savings eclipse that of the Mountain Collective quickly for skiers who go past 10 days. Skiers at Vail and Beaver Creek break even at 4.7 days—this is for the $899 full Epic Pass. Park City Skiers break even at 6.6 days, Breck skiers at 5.3. 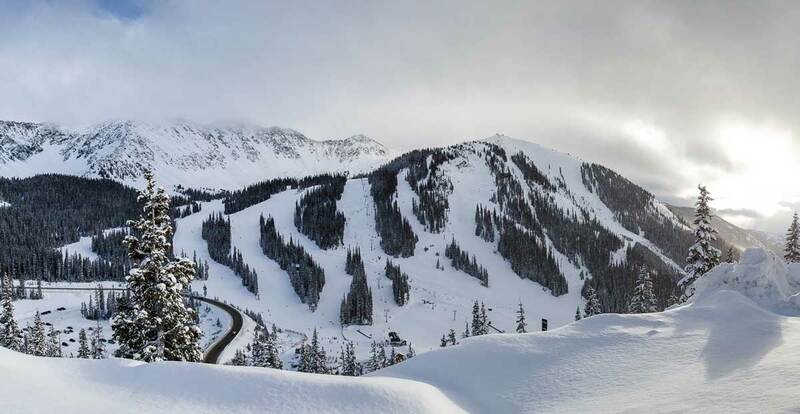 Generally, the full Epic Pass is a good idea for those who are going to put in at least seven days on Vail Resorts' mountains during peak times (holidays and prime weekends). For those who can avoid skiing peak days and who don't need 10+ days at Vail and Beaver Creek, the Local's version of the Epic Pass is a fantastic buy at $609. The payback on that pass comes even quicker, of course, between 4 and 5 days at most resorts. So what's the final verdict? Well, Epic vs. Collective is a hard thing to parse, for one, given the different pricing structures of each pass. The resort portfolios have their different strengths, as listed above. For destination skiers who seek variety over the course of multiple trips that are of the three-to-four-day ilk, the Mountain Collective is the right call. For those who may be looking at two big trips, say week-long affairs with the family built around the Christmas season and Spring Break, the Epic Pass should be considered first. ZRankings has special rates to Epic and Mountain Collective Ski Resorts!